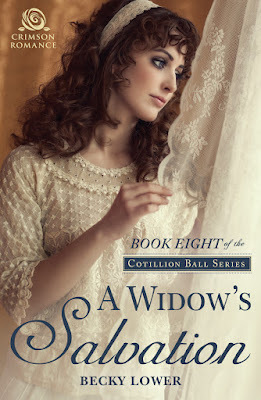 A Widow’s Salvation is the 8th book in an ongoing American historical series. When I began planning the series several years ago, I set the first book in New York in 1855, since that’s when the Cotillion Ball was imported from Europe. I knew I wanted to write something similar to Julia Quinn’s Bridgerton series, since it was genius and she’s still reaping the rewards from it. But I also knew that would mean the story line would collide with the Civil War. This is that book. The eldest daughter in the family, Pepper Fitzpatrick, had been introduced in the first book as a happily married and pregnant woman. So the stage was set many books ago. This perfect life was ripped apart by the Civil War, and the loss of her husband. This is a book about rebounding from tragedy and creating a new normal in your life. Most of my heroines are young and feisty characters and I have a lot of fun writing them. Pepper was different. She is a widow with three sons by the time the book begins, and I had to make her character much more serious, more sedate, than my other characters. I would be lying if I said it was an easy job. I talked to a lot of women who had children to make certain I got things right. One characteristic I found in all the women I interviewed was their inner strength. Pepper’s strength was every bit as pronounced as her sisters, but it was more internal. I wanted to show I could write a different type of heroine. Anne Hathaway would make a good Pepper, and Bradley Cooper would make a wonderful Elijah. Right now, I’m reading a book by Lauren Linwood. It’s called A Knight For Kallen, a medieval romance. I haven’t read a medieval since Jude Deveraux’s A Knight in Shining Armor. I consider that book my all-time favorite and can’t for the life of me figure why it took me so long to read another one. But I’m absolutely loving Linwood’s story. I reside in a small college town in Ohio called Oberlin. The city fathers claim this was the small town that started the big Civil War. Some escaping slaves made it all the way from the south to Oberlin before the slave mongers tracked them down. Since Oberlin was a free city, the slavemongers kidnapped the slaves and took them seven miles away to the next town. Residents from Oberlin walked to the town, freed the men and got them on their way to Canada. It was the first outright reaction to slavery, and began the long slide to war. I’m at work now on the final book in the Cotillion Ball series. After that, I can go in any direction that I want. I love writing historicals and will continue to do so, but I also have a contemporary that I’m thinking about self-publishing and a chick-lit book that I’ve started. I’m so grateful to be an author in today’s publishing world, since there are so many avenues available now. Amazon best-selling author Becky Lower has traveled the country looking for great settings for her novels. 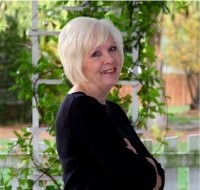 She loves to write about two people finding each other and falling in love, amid the backdrop of a great setting, be it on a covered wagon headed west or in present day small town America. Historical and contemporary romances are her specialty. 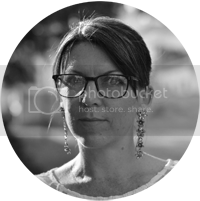 Becky is a PAN member of RWA and is a member of the Historic and Contemporary RWA chapters. She has a degree in English and Journalism from Bowling Green State University, and lives in an eclectic college town in Ohio with her puppy-mill rescue dog, Mary. She loves to hear from her readers at beckylowerauthor@gmail.com. Visit her website. Thanks so much for inviting me to appear today, Fiction Dreams. I had a great time answering your questions. Always learning something new from you Becky. Keep up the good work, waiting for the last in your series. Just a delightful interview! What incredible facts about Oberlin and it ties right in with your new book during the Civil War. I love the serendipity of it. It was lovely to have you here today Becky! Barb & Kathleen - thanks so much for stopping by! Thank you, Barb and Kathleen, for visiting today. I have so much fun doing these interviews, and am glad you enjoyed it.